1.1 How To Clean And Wash Your Weighted Blanket? 1.1.1 How To Wash A Weighted Blanket? 1.1.2 How To Dry A Weighted Blanket? 1.1.3 What Cleaning Products To Use? Weighted blankets are important for people who have problems with sleeping. Aside from that, it aids in relieving the symptoms of certain conditions, including anxiety, restless leg syndrome, autism, depression, ADHD, and stress disorders, to name a few. There are many companies who create and sell weighted blankets, which are made from various materials. These weighted blankets are quite expensive, so, it’s important to take care of them and clean them properly. Cleaning and maintaining weighted blankets can be both easy and a daunting task, depending on the type of material your blanket is made of. When purchasing a weighted blanket, it’s essential to consider the overall construction that will affect how it should be washed. 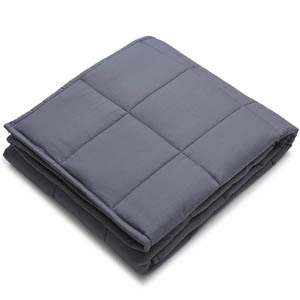 Some weighted blankets have a removable outer cover that can be washed separately. In some companies, however, the inner weighted blanket can’t be washed. They have a duvet cover that can be attached after washing. Other companies also have weighted blankets that are fully sewn, which means that everything is washable. How To Clean And Wash Your Weighted Blanket? As said earlier, there are many ways on how to take care of your weighted blanket. For people who purchased expensive ones, it’s better to take care of your blanket, to make sure it will last for a long time. 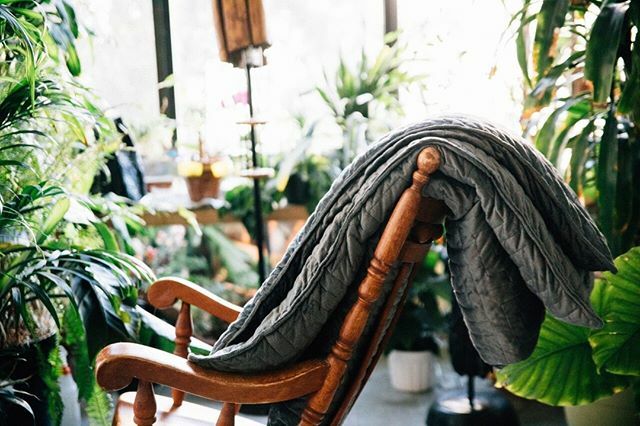 Despite the fact that most companies use high-quality and durable fabrics and poly pellets, it’s vital to take care of the blanket as much as you can. How To Wash A Weighted Blanket? Before you wash your weighted blanket, you should look at your blanket’s special instructions during washing. You can check before purchasing the blanket or check the tag on the blanket. 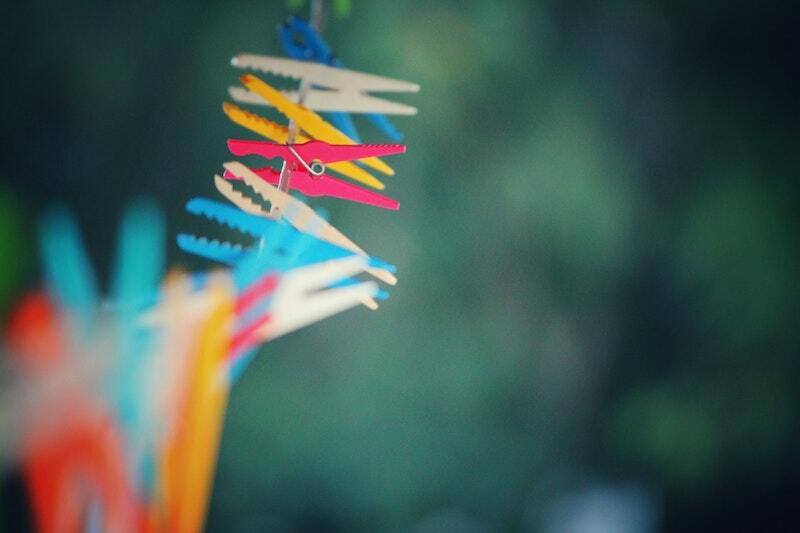 Also, check the material to make sure you can wash it safely, without damaging the fabric. Gentle machine washed in cold water is generally recommended for most weighted blankets. 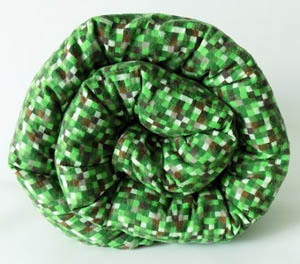 But, this can vary depending on the blanket’s fabric. In some cases, the outer layer is removable, like a duvet cover. You can wash it separately. The fabrics and poly pellets used to make weighted blankets are very sturdy and durable. But, regular maintenance and cleaning are important to make it last longer. To keep the blanket in top shape, wash it separately with a gentle detergent. Don’t use harsh chemicals such as chlorine bleach. For waterproof blankets, you can machine wash them with warm or hot water. But, remember never to use vinegar or bleach so the materials will not be ruined. How To Dry A Weighted Blanket? After washing your blanket thoroughly, remove the excess water. You can squeeze the excess water by rolling it tightly or folding it to press the water out. Every about half an hour, shake the excess water out and to redistribute the pellets. Moreover, the blankets are safe to dry in the dryer. The good news is, the pellets can be dried without them melting. But, it’s better to hand dry to maintain the quality of the fabric. What Cleaning Products To Use? When you’re looking for cleaning products for your weighted blanket, always choose the gentle ones. Skip the bleach because it can damage the fabric. Also, avoid using fabric conditioners and other harsh chemicals on your weighted blanket. For those with blankets over 20 pounds, don’t let your home washer suffer. Take the weighted blanket to the laundromat for a bigger and larger machine for washing and drying. It’s important to know what products and temperature to use. Weighted blankets should not be ironed, especially those with plastic pellets inside. The only time you can consider ironing the blanket is when they used glass beads and the fabric is 100% cotton. There are different types of fabrics used in weighted blankets. Depending on the type of fabric, the care may vary, too. Minky is a good fabric for weighted blankets. 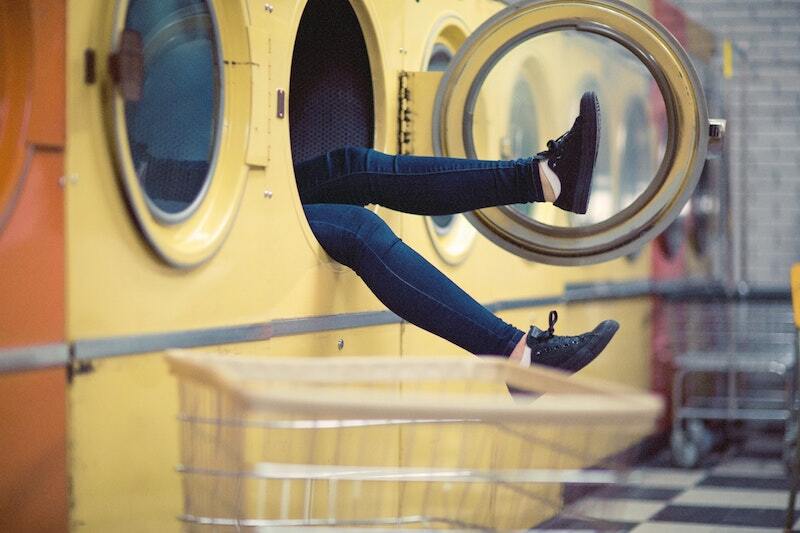 Plus, it’s very easy to wash with its softness above anything else. If you want to wash your Minkyweighted blanket, make sure you wash it alone in the washer to prevent friction with other fabrics. Most blankets today are made of 100% cotton. When your weighted blanket is made of cotton, wash and dry it separately so the fabric won’t suffer from wear and tear of friction and extra heat. Flannel is another type of cotton fabric. For this type of fabric, you should wash it with warm or cool water, but never with hot water. High temperature can damage the fabric in the long run. Also, in washing flannel blankets, avoid over-drying it and just use low heat. In taking care of fleece blanket fabrics, make sure to wash and rinse in warm water. Also, dry the blanket in low heat. For stains, soaking the blanket in water will help loosen the stain. This is one of the materials that can tolerate fabric conditioners, just make sure to add another rinse to make sure it will be washed off completely. Lastly, the linen-rayon blend is another fabric used in weighted blankets. To wash this type of blanket, make sure you wash it with gentle detergent. If there are stains, it can withstand diluted bleaches or oxygen bleach. However, most of the linen-rayon blankets are dry-cleaned, they are also washer and dryer-friendly. 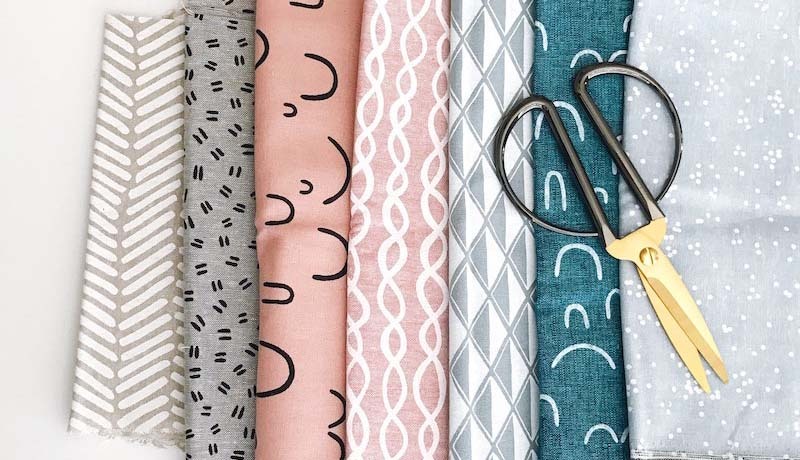 We really hope that this article really helped you take better care of your weighted blanket and protect it from the elements for years to come. If you took the chance and made a DIY heavy blanket you’ll know how much effort goes into making one and why it is important to protect it from damage, mold and other damages. If you’re still on the market for a weighted blanket, please visit our comparison guide and choose the best one for your needs and budget. Here you can find all the benefits heavy sensory blankets can provide too. Looking forward to hearing about your experience in the comments below.